I received this alert on July 4, Wednesday of the first week of the school holidays. Now, I already knew that planned burns are a must. In the event of bushfire I want my home to be protected and that the bush needs to regenerate. 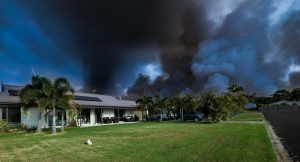 You just need to look at the devastation around our country in the last few weeks due to bushfires. With family members with asthma, more than a hour or two’s notice would be appreciated. We don’t need another reason to deter families from enjoying our area. I didn’t receive a response from NPWS media, but was pleased that our air quality was clearer last holidays. Are you looking for “something different”?